The economy is and has been an important topic of discussion in every state across the United States for the past half-decade. I am going to discuss the impact of the NC Film Industry to the state economy in North Carolina. Filming companies are awarded a 25 percent tax credit contingent upon qualifying expenses during the production of a film or television show. This tax credit for the film industry was set to expire Jan. 1, 2015, but the NC General Assembly renewed this tax credit by passing Bill DRH30746-MC-256E earlier this year. Renewing this tax credit for the filming industry was a crucial piece of legislation for North Carolina because if the tax credit bill was not renewed or expired, then the skilled crew workers and extras who were employed on a short-term basis would surely move on to other states that were more lucrative for filming companies. Myriad films and television shows have been filmed in North Carolina since 1950, which has contributed to the state economy. According to Don Carrington in a 2014 Carolina Journal titled “Impact of Film Industry on N.C. Jobs Unclear,” during the 2012 calendar year a range of 792 to 4,100 jobs (based on which source you examine) were worked as a result of the film industry. This article further stated that for the fiscal year that ended June 30, 2012, 36 film projects employed 17,730 people that contribute to the state economy. The film industry is responsible for projects crossing all geographical boundaries in the state from the mountains in the western part of the state to the beaches on the eastern part of the state. Local communities benefit greatly because businesses see an increase in their customer bases due to the attention that the filming of either a movie or a television show brings. 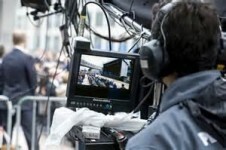 The local businesses see an increase in customers during the filming of these films and television shows, which increase in revenue and therefore can contribute more to the local economy, which affects the state economy. A few beneficiaries of the incentives provided to the film industry include an increase in hotels being used by patrons as well as an increase in restaurants being visited by both the employees as well as new tourists. One can argue that it is not the responsibility of the government, specifically a state government as in this case North Carolina to create jobs. However, the government does have the ability to motivate companies to come and stay within the boundaries of their state as in the case of North Carolina and the film industry. State and local governments play a crucial role in recruiting and keeping businesses operating in their jurisdictions. By renewing the 25 percent tax credit for filming industries, North Carolina incentivized the filming industry to remain and continue to contribute to the state economy by continuously hiring skilled crewmen and other employees necessary to complete the filming process. Keeping the filming industry in the state provides a boost to the state economy that the local community businesses have been relying on for years and will continue to rely in future years. Other states have implemented incentive strategies to recruit businesses and corporations to set up in within their borders or to keep businesses from moving to other states. One example in which state government is incentivizing businesses to set up in their state is New York and their “startupny” campaign. Under this incentive program, businesses can come to New York and operate 100 percent tax-free (no income taxes, sales taxes, corporate taxes, state or local taxes) for 10 years. This incentive program will provide a huge boost to the state economy in New York as businesses will have more capital that they can inject into the local and state economies via their employees who live in the communities. The success of the film industry in North Carolina and other states outside of the film capitol (California) has a profound impact on the state economy, which trickles down into the local economies. The state governments that have provided incentives for these companies to continue operating within their boundaries reduces their unemployment claims, applications for other social entitlement programs. The reduction in these entitlement programs also contributes to the state economy as the employees who are working for these companies can provide for themselves thus reducing the number of recipients of benefits from government programs and begin contributing to the economy. The filming industry in NC and the startupny program in New York are excellent examples of states that are making significant improvements in their economies. Other states can take notice of these two examples, if they haven’t already, and begin constructing similar incentives to attract businesses to setup and stay in order to contribute to their economies. Author: Jeffrey R Zimmerman is a public policy and administration Ph.D candidate at Walden University who is currently working on his dissertation titled, “The Impact of Supervisor-Subordinate Exchange on State Government Employees.” Zimmerman is a state employee with the NC License & Theft Bureau where he is currently assigned to the training section. He can be reached via email at [email protected] or [email protected].